Bottles # 1359 and # 2891 sold empty at ebay. Peat, lemon, bread crumbs, brown sugar. Peat, lemon, sugar, farm, acidulous fruits. Alcohol very well integrated! 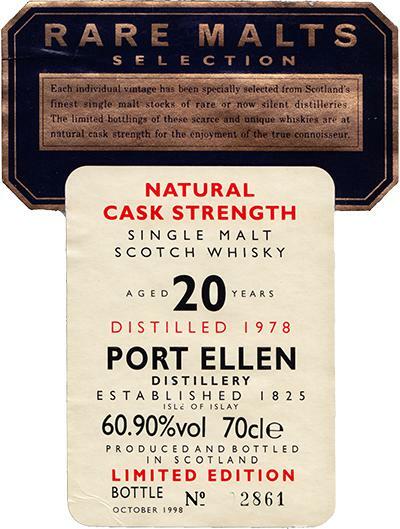 Great archetypal Port Ellen. Simply loved it. Gentle nose. Light peat smoke, maritime notes with seaweed and brine, smoked fish, lemons and grapefruits, pepper, leather and a little bit of tar. A sweet and tart feeling too. Love this nose. Punchy, peppery, gingery and peaty with a spoon of honey. Citruses with lemons and oranges, leather and big smoke. Long, juicy, lemony, smoky and spicy. More assertive. Appetizing and arousing. Bay trees. Seaweed. More expressive, fruity, dryish flavours. Fruity olive oil. Parsley. Salty. Smoky. Oaky. Extremely peppery. - 66 - 75 - 80 - 82,5 - 85 - 87,5 - 90 - 92,5 - 95) I scored this 90. My notes state a golden colour and a heavily oily body. The nose shows some fine aromas of a dark chocolate. 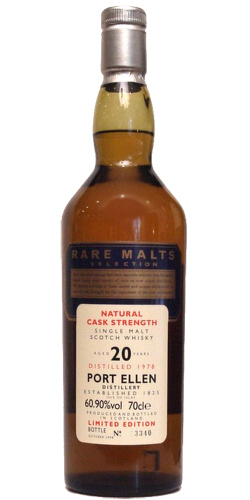 On the palate stronger peaty flavours combine with minor sherry aromas. There are some slight bitter notes too. The finish is of medium length. Be careful with water as the bitter flavours get more dominant that way. I liked it best when neat. 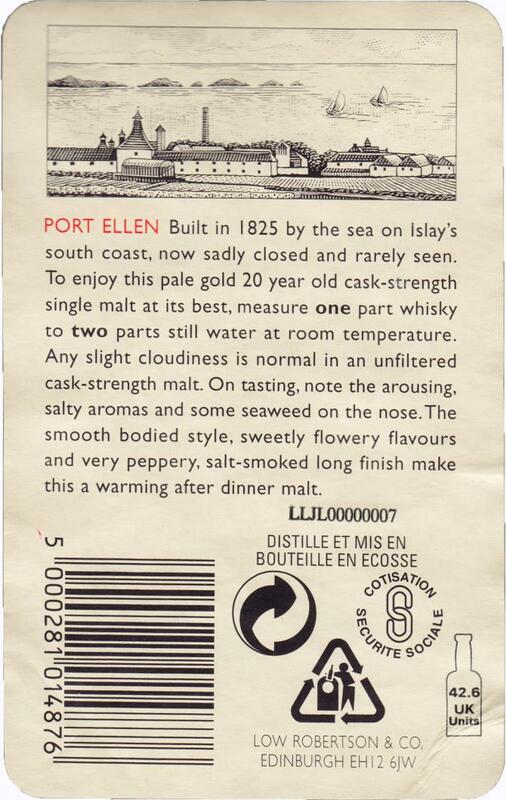 (95 Euros), or this breath-taking Brora https://www.whiskybase.com/whisky/2388/brora-1981-tb for just 10 Deutschmarks more (99 Euros).